Nicole is the Managing Partner of Landau, Hess, Simon & Choi. She represents individuals and businesses in all facets of immigration matters, including employment-based nonimmigrant and immigrant visas, family-based cases, and naturalization. Among Nicole’s clients are colleges, universities, hospitals, non-profits, and large and small private employers. Her practice includes counseling employers on I-9 and related employer compliance issues. Nicole has presented on business and family immigration topics at American Immigration Lawyers Association (AILA) local and national conferences and has lectured on immigration options for foreign national students, physicians and researchers to universities and professional scientific organizations. Nicole is listed in The Best Lawyers in America. She is a member of IMMLAW, the consortium of experienced and outstanding U.S. immigration lawyers providing services in cities throughout the U.S.
Nicole received her J.D. from the University of Pennsylvania in 2001 and has been practicing federal immigration law exclusively since 2003. She is a member of the State Bar of California. 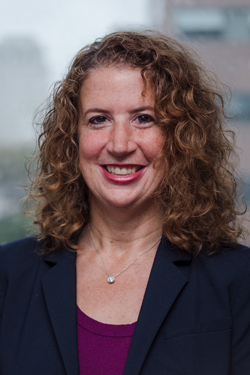 Nicole currently serves as Chair of the American Immigration Lawyers Association (AILA) Vermont Service Center Liaison Committee and as a member of the AILA Service Center Operations (SCOPS) Liaison Committee. She previously served as Vice Chair and as a member of the Vermont Service Center Liaison Committee as well as a member of the AILA USCIS Ombudsman Liaison Committee. From 2011 until 2013, Nicole held the position of Chair of the AILA Philadelphia Chapter and from 2013 until 2016 co-chaired the AILA Philadelphia Chapter USCIS Liaison Committee. Nicole graduated with honors from the University of Wisconsin at Madison with a B.A. degree in English.